Role-playing games have been popular in gaming for about as long as the medium’s existed. From early 1980s computer RPGs like Wizardry 1 and Ultima 1, to modern titles like The Witcher 3 and Octopath Traveler, we’ve seen the genre evolve. Nowadays, RPGs span multiple types of games, including turn-based, action, MMO, survival, just to name a few. With so many RPG hybrid genres, it can be overwhelming to decide which titles are worth checking out. That’s why we’ve decided to highlight some of the best RPGs to experience in 2019. Some of these games are available right now or have a confirmed 2019 release date, so make sure to check back as we’ll be updating this list regularly. Persona 5 is the most recent installment of the long-running JRPG series developed by Atlus. You play as a Japanese teenager, codenamed Joker, who’s just moved to Tokyo and is set to start attending high school. However, you soon realize there are secret, supernatural events taking place, and that only you can stop these dark forces at work. Aside from going to school, time is broken up among different activities, such as hanging out with friends, exploring dungeons, and clocking in hours at your part-time job. In true RPG fashion, the game allows you a lot of freedom in how you decide to spend your days, who you decide to befriend, and how you plan on building out your team of Personas. Battling is turn-based and has you and your party engaging in a more complex version of rock, paper, scissors-style combat, with buffs and status effects factoring in. With its hundred-hour playtime, catchy soundtrack, and over-the-top story, Persona 5 is a whirlwind of emotions that’s hard to walk away from once you’re hooked. 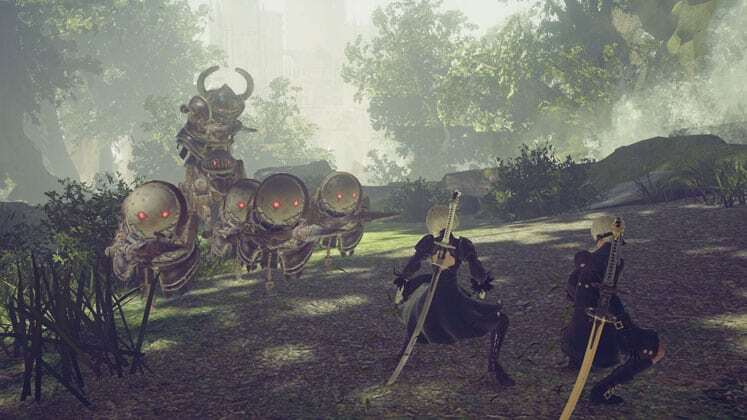 Nier: Automata is a bizarrely wonderful action RPG with the lightning-fast combat we’ve come to expect from PlatinumGames. The game has you controlling androids equipped with weapons and hacking abilities, tasked with taking down alien-created hostile machines in order to protect the future of mankind. However, in order to experience the game’s complete story, you’ll have to replay it multiple times, each playthrough bringing with it new revelations. If this sounds like a weird way to go about making a game, it totally is, however Automata’s quirkiness is what makes it stand out from other open-world games and feel entirely its own. Unconventional features, like a completely customizable HUD, offer players a level of control not typically found in games. While its story may feel convoluted at times, Nier: Automata is a one-of-a-kind game that’s not afraid to blend genres and break the fourth wall. While Ashen borrows heavily from Dark Souls with its challenging combat mechanics, it also manages to add its own spice to the action-RPG genre in the process. The game has your character looking to build a home for themself in a world where civilization has crumbled and deadly creatures fester in the dark. Gameplay has you exploring caves, forests, and ancient ruins in search of stronger equipment as character progression in Ashen is tied to gear, not stats. Along the way, you’ll be balancing time spent in both the light and the dark. Areas of light tend to be a lot safer, while darker environments are littered with frozen skeletons, giant spiders, and even more enemies waiting to attack. 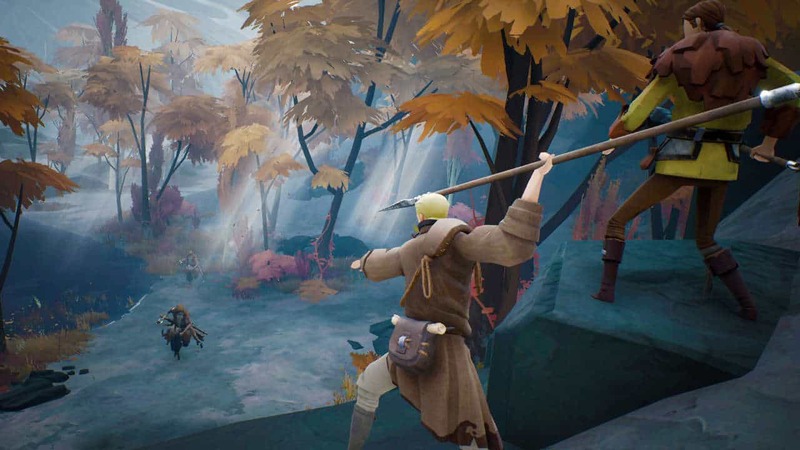 Ashen’s cartoonish visuals pair nicely with the grim, fantasy tone of the game and given the kind of titles Annapurna Interactive is known for, comes as a pleasant surprise. Coming from developer Inti Creates, Dragon Marked for Death blends the run-n-gun gameplay the studio is known for with action-RPG elements. The result is an exciting, retro experience with engaging combat and gorgeous pixel-art visuals. The game’s story follows the Dragonblood Clan, a group of people that form a pact with a dragon named Atruum, granting them special powers to seek revenge against an evil empire that has burned their village. 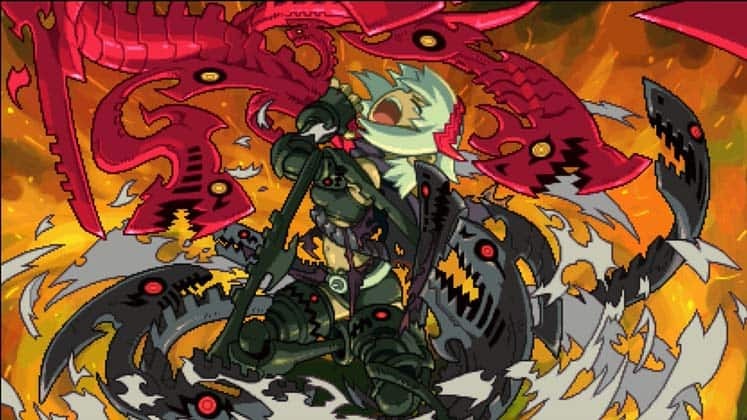 Dragon Marked for Death has you play as one of four classes, split between its two character packs: Empress and Warrior (Frontline Fighters pack) and Shinobi and Witch (Advanced Attackers pack). While combat varies based on which character you choose, with each having unique attacks and special abilities, gameplay boils down to going on quests that culminate in epic, boss battle sequences. Although the game can be played completely solo, online multiplayer functionality allows you to tackle missions with a friend. While Assassin’s Creed games had begun to grow stale in recent years, 2017’s Origins breathed new life into the series, delivering a refreshingly new story and approach to gameplay while keeping the streamlined combat and traversal the series is known for. Odyssey looked to continue the momentum that had been built and thoroughly exceeded expectations. The game blurs the line between realism and a power fantasy even more than Origins, having you take on the role of either a male or female mercenary fighting for both Athens and Sparta while trying to unite your family and uncover a supernatural force. 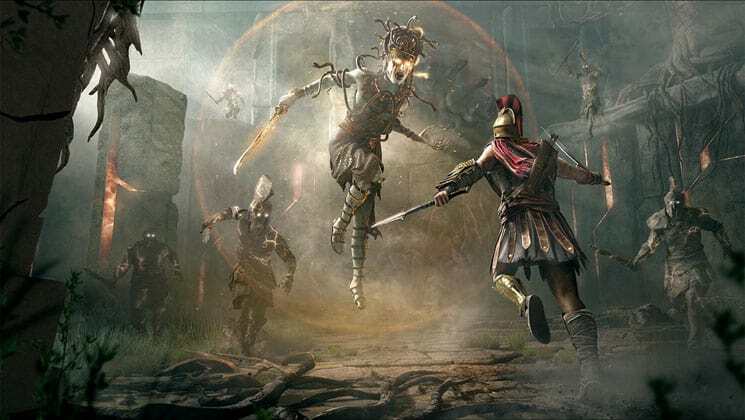 It’s extremely ambitious in both its scope and RPG elements, offering a striking depiction of ancient Greece and an epic adventure filled with enough quests to keep you busy for upwards of 70 hours. 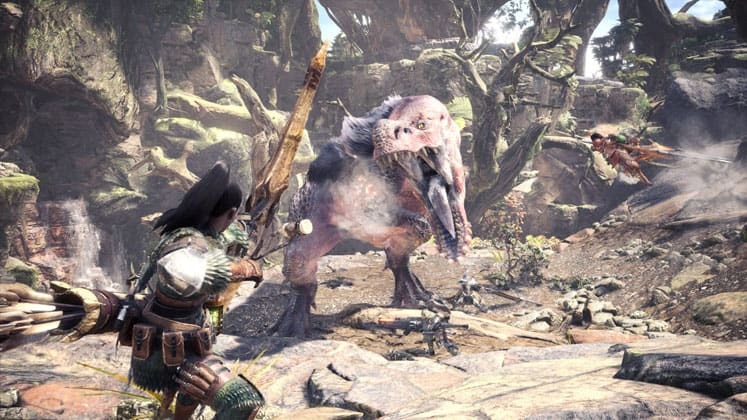 While Monster Hunter games have typically always appealed to a much smaller community, Monster Hunter: World is Capcom’s biggest attempt, and a mostly successful one at that, at bringing in a Western audience to the creature slaying franchise. World features a number of quality of life improvements to the series, with an updated UI and tutorials to welcome new players. Although some parts of World still feel cumbersome and confusing, the important thing here is how well the game delivers on its main component: hunting monsters. Creatures and environments look stunning and each locale has a number of systems in place that make them feel like living ecosystems. If you’ve ever been curious about getting into the Monster Hunter series but felt too intimidated, give World a chance. Ni No Kuni II makes a number of refinements to the first game, as well as drastically changing some gameplay aspects. You play as Evan Pettiwhisker Tildrum, a young king who was dethroned from his castle and sets out to build a new kingdom. While you spend most of the time controlling Evan in the game’s overworld, battles let you take control of other members of your party. During battles, characters use a variety of weapons and magical abilities to defeat enemies and support other party members. Additionally, elemental creatures known as “Higgledies” are used to cast spells and grant other bonuses during battles. 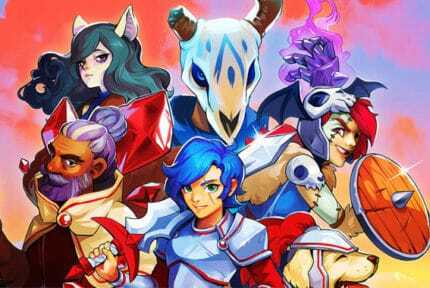 Unlike the first game, Revenant Kingdom features real-time combat and more options for party customization. 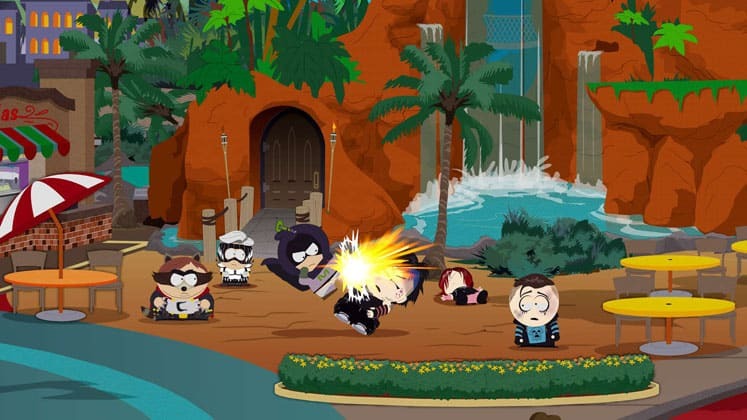 Many people were pleasantly surprised when Stick of Truth, an RPG set in the South Park universe, managed to deliver a fun, player-driven experience. At first glance, Fractured But Whole may just seem like a reskinned game, with the kids of South Park ditching fantasy role-playing in favor of superheroes. However, a shift in developers for the sequel has led to some interesting changes while maintaining the South Park identity. While combat in Fractured is still turn-based, battles take place on a grid-based battlefield, allowing you to move party members freely and devise more unique strategies than the previous game. The game has you creating an original character and selecting from ten archetypal superhero classes, such as Speedster, Elementalist, and Cyborg to name a few. Where Fractured truly shines is its variety in character moves, with the game consistently introducing new abilities that encourage you to explore other playstyles. While diehard fans have been waiting to play a new Kingdom Hearts game for over a decade, KH3 seeks to deliver something for everyone, even those that are new to the series. 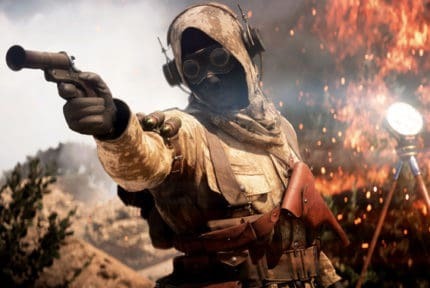 Although some parts of the games feel very dated, like awkward cutscene transitions and character dialogue, there are a myriad of elements that have been streamlined for a wider audience. Combat and traversal feels more fluid and refined, offering more seamless keyblade transformations along introducing “flow-motion”, which allows you to interact with parts of the environment during battle. 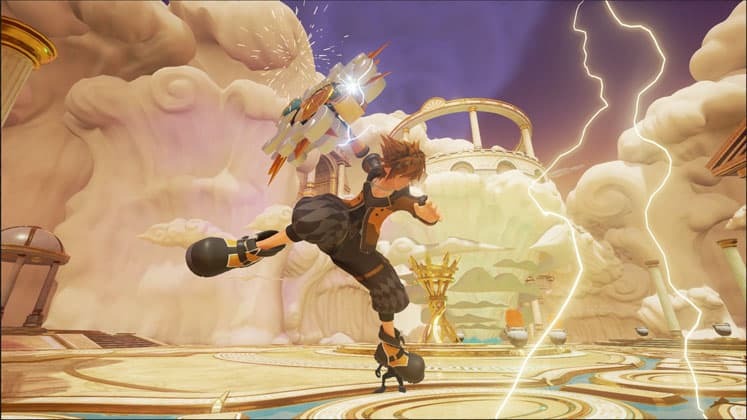 Additionally, the amount of variety in team-up attacks and Disney park-inspired “flow-attractions” moves help break up the game’s hack-n-slash combat. Although the story can be convoluted and hard for new players to grasp, KH3 does a great job at bringing you up to speed on the game’s events. 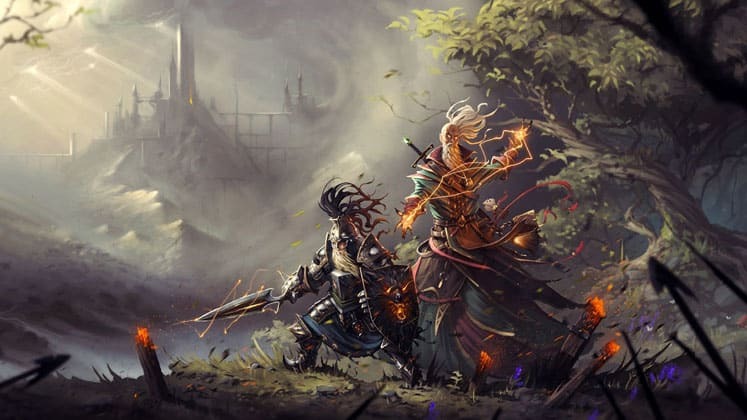 Divinity: Original Sin II is one of the best incarnations of a video-game approach to tabletop RPGs. The game has you and up to three party members exploring the fantasy world of Rivellon. You can create your own character, choosing their race, gender, stats, and even origin story, or pick from a handful of pre-made ones. The game truly shines in how many tools and possibilities it provides you with for tackling challenges. Usually if you can think of a bizarre, out of the box solution for a problem, Original Sin II has a way for you to attempt it. 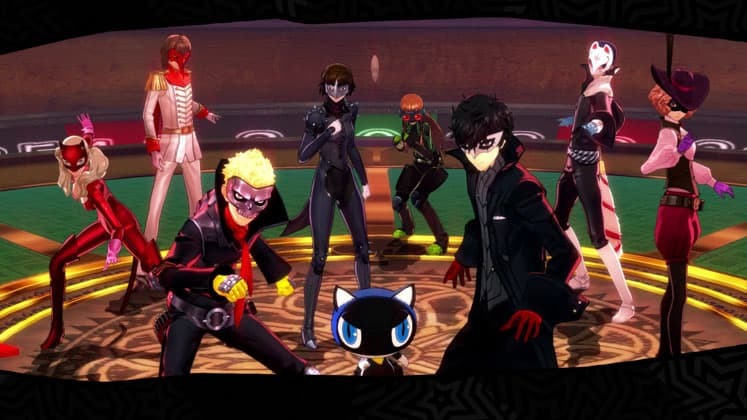 The co-op version of the game is worth mentioning as well, which allows you and your friends to split up completely and perform actions that will affect the game’s world for every member of your party. 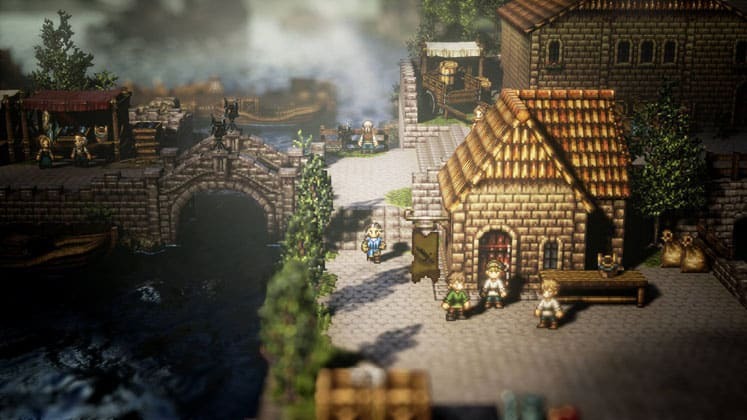 Octopath Traveler is a turn-based RPG which uses an “HD-2D” art style, combining 16-bit SNES-style sprites and textures with high-definition 3D environments. The result is a game that feels both familiar and fresh at the same time. You play as one of eight adventurers, each of whom begin their journey in different ways and have unique “Path Ability” commands that can be used in NPC interactions. Gameplay revolves around exploring various towns and caves, with battles instances taking place in between. During combat, players use an assortment of weapons and abilities in order to attack, debuff enemies, and buff party members. Octopath features a “Boost Point” system, in which party members gain a point at the end of every turn that can be stacked and used in interesting ways, such as granting the ability to attack multiple times or raise a character’s defense. Anthem is an upcoming action RPG that’s looking to raise the bar for looter-shooters. The game has you taking on the role of a Freelancer, a work-for-hire character that has access to an array of fully customizable exosuits called Javelins. 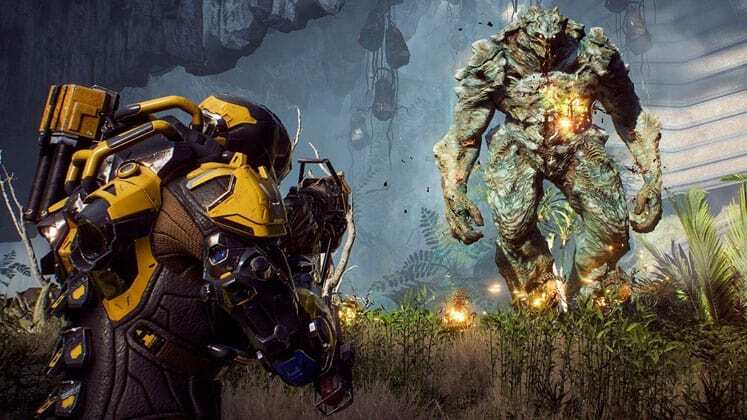 Anthem currently features four different Javelins: Ranger, Storm, Colossus, and Interceptor, with each class having drastically different playstyles. While the game can be played in single-player, it’s focused on online multiplayer, with a shared universe that shifts and changes over time. Most exciting is how many ways Anthem encourages players to cooperate, with a number of abilities that can be used to combo with your teammates. There is some concern over how the game plans to implement its live-service model, however, we’re hopeful that BioWare is able to fully execute on the game’s potential. 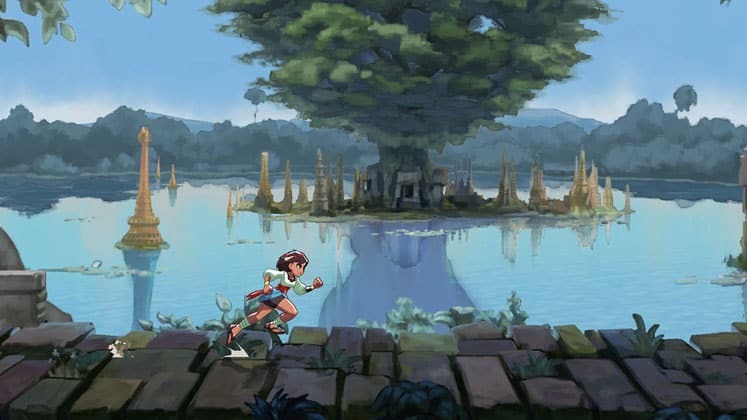 Indivisible is an upcoming, side-scrolling RPG platformer being developed by Lab Zero Games, best known for creating the 2D arcade fighter Skullgirls. The game has you play as a young woman named Ajna, who upon discovering a hidden power within herself, sets off to find the ones responsible for the destruction of her village. Gameplay is inspired by classic RPGs like Valkyrie Profile and has you engaging in combat with enemies in real-time via an ATB-style battle system, which forces characters to recharge before their next attack. Indivisible features 25 different party members, called Incarnations, with each character having multiple attacks and unique roles to fill. Outside of combat instances, Indivisible takes a Metroidvania approach to exploration, with Anja finding a number of tools and abilities along her journey that can be used to reach new areas. Among these is an axe which allows you to scale walls, and a bow which lets you attack enemies from a distance before engaging in battle. With the recent shift in public perception of the Fallout series, a gap in sci-fi action-RPGs has been created, one that developer Obsidian is looking to fill with The Outer Worlds. Slated to release later this year, Outer Worlds is set in a future where mega-corporations have begun colonizing and terraforming alien planets. While traveling through space, something goes wrong and leaves your ship stranded at the edge of a space colony. After creating a character, players will begin exploring nearby planets, investigating the true intentions of the corporations that have begun colonizing space. The game features first-person combat and the option to recruit NPC companions with unique skills that can be used in battle. 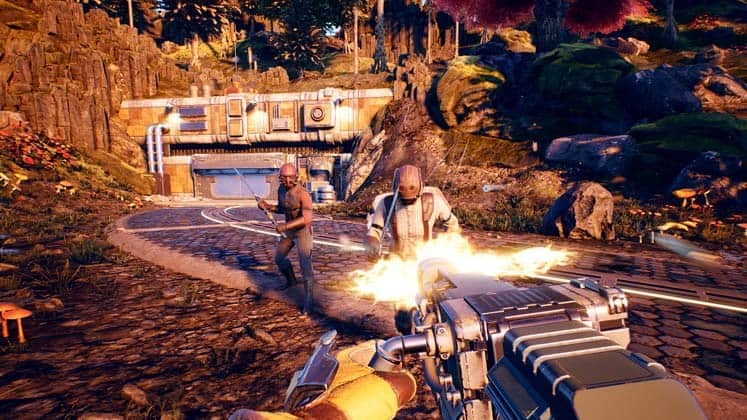 The Outer Worlds seems to place an emphasis on player-choice, allowing you to make numerous dialogue decisions, which can lead to different mission outcomes and influence the game’s branching story. 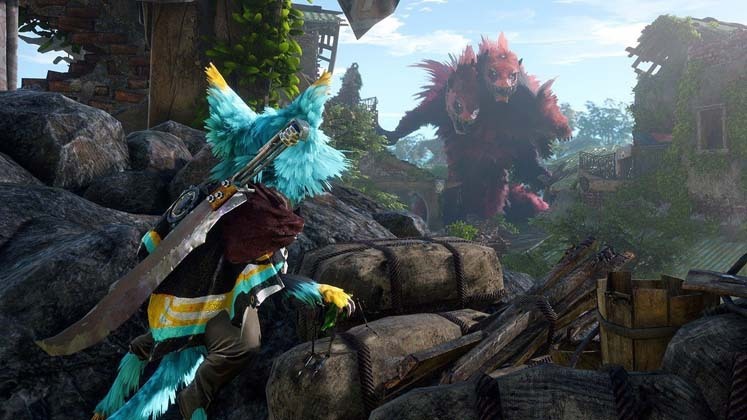 Biomutant takes place in a post-apocalyptic world filled with mutated animals. The upcoming game has you play as a customizable raccoon-like character capable of using weapons like swords and guns. How you design your character plays a role during gameplay, with attributes like gender, body shape, fur thickness, and fangs all affecting your character’s stats. The overarching goal in Biomutant is to save the Tree of Life, which has become polluted and is under constant attack from enemy creatures. 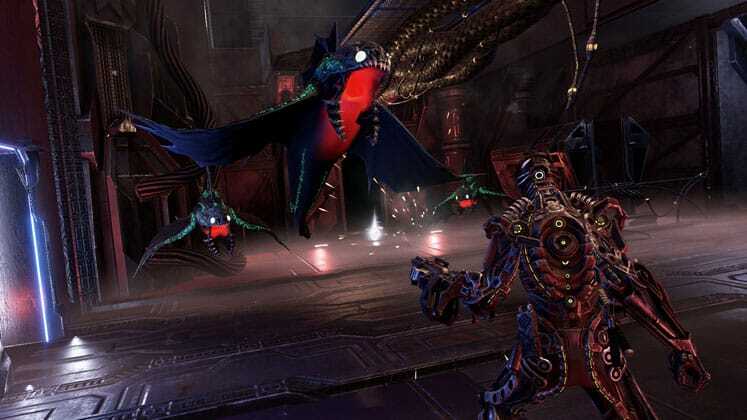 Along your journey you’ll encounter an array of mutations and bio-mechanical body parts such as robotic legs, wings and claws which can be attached to provide an edge in battle or reach certain areas. The game features a branching storyline as well as a karma system, where player decisions impact different characters’ stances and affect the game’s world. 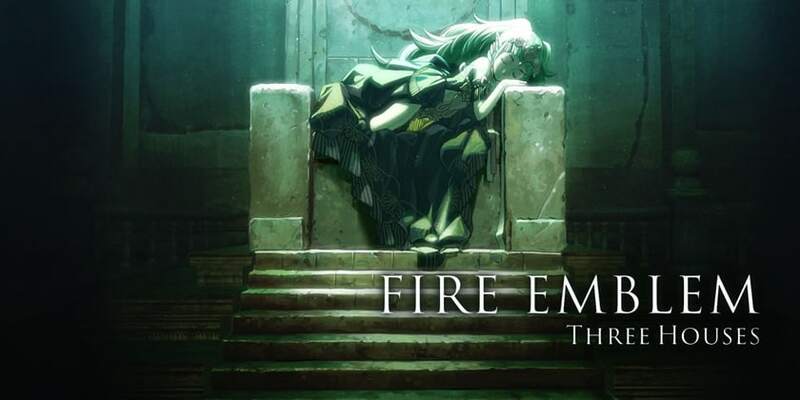 Currently under development by Fire Emblem veteran Intelligent Systems, Fire Emblem: Three Houses is the next major entry in the long-running strategy-RPG series. It’s been long time since fans have gotten a home console FE game with the last title Fire Emblem: Radiant Dawn, appearing on the Wii back in 2007. Three Houses will no doubt be a huge exclusive for the Switch and breathe new life into the series both visually and gameplay-wise. 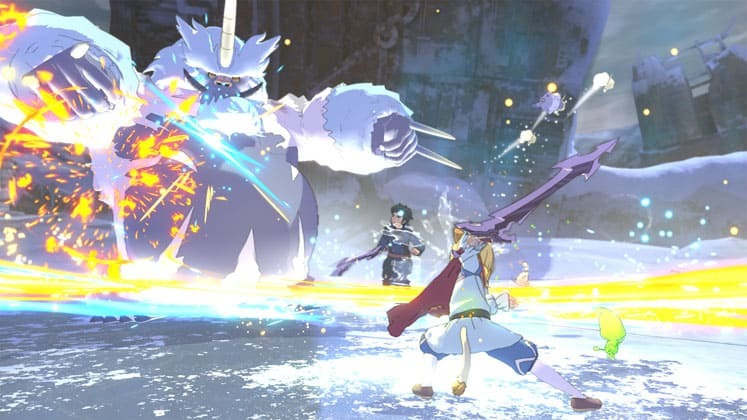 The game maintains the series turn-based combat and has you controlling four distinct protagonists: Byleth, Edelgard, Dimitri and Claude. Three Houses is set in the fictional continent of Fódlan, and has you exploring three areas: Adrastea, Leicester, and Fergus. Combat has you moving units across an open field and engaging in battles, with both “Combat Arts” and weapon durability mechanics making a return. God Eater 3 is an upcoming action-RPG that focuses on hack-n-slash combat. In the game, players are tasked with hunting down “Aragami”, which are massive otherworldly creatures. The character you play as is known as a God Eater, capable of absorbing energy from slain monsters in order to unleash “burst moves”, which are special attacks that deal insane amounts of damage to enemies. Gameplay feels similar Monster Hunter, albeit more fast-paced, and has you seeking out oversized monsters with a team of up to four players. Combat has you using a variety of God Arc weapons, which transform into guns and are tailored to fit different playstyles. 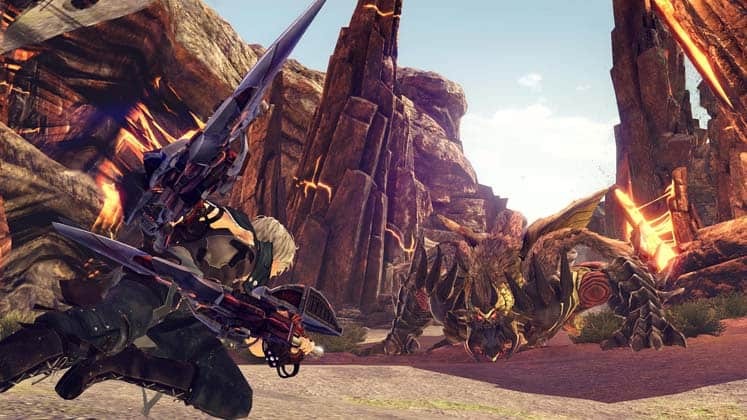 God Eater 3 features interesting creature designs and a deep combat system that’s satisfying to master. Hellpoint is an action-RPG currently being developed by Cradle Games. Fans of Bloodborne will immediately feel at home with Hellpoint’s punishing combat and dark, albeit sci-fi themed, open-world. The game has you exploring an abandoned space station orbiting a black hole, attempting to unravel mysteries surrounding a cataclysmic event. During your journey you’ll encounter a number of tough, demonic creatures that have taken over the station. In order delve deeper, you’ll have to become stronger by crafting weapons and skills capable of dealing with the terrifying enemies. With limited quantities of fast travel checkpoints and branching story paths, the game tasks you with developing effective strategies for surviving its hellish challenges.